There’s nothing like diving into a refreshing swimming pool to quickly deal with the sweltering heat of summer. Maintaining the pool so it operates efficiently and is safe for everyone is no small matter though. Luckily, you don’t need to get wet if you want to perform basic maintenance tasks anymore, not if you invest in a wireless pool thermometer. Pool thermometers reveal a lot about your swimming pool. If it’s heated, they let you detect whether a heating element is malfunctioning and help you optimize expenses at no cost to comfort. A pool whose temperature is between 75 and 85 degrees Fahrenheit is enjoyable for all ages and needs less maintenance since it retains chlorine longer than a warmer one. Keeping an eye out on other parameters like pH and chlorine levels will ensure that anyone using the pool won’t suffer from irritation and chemical burns. In this guide, you’ll learn all about the best wireless pool thermometers on the market. 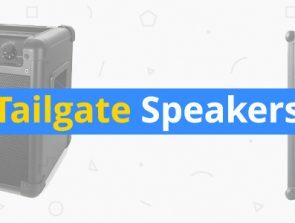 We cover different types of models ranging from floating to infrared thermometers and even one which has its own smartphone app. Pick the thermometer you find the most useful and start enjoying carefree swims in your temperate pool! Transmitter’s screen shows detailed information, shows temperature trends for last 3 days. Measures temperature almost instantly, wide array of applications. Accurate and frequent temperature measurement, supports input from 8 sensors. The most annoying thing about traditional pool thermometers is the fact that you have to take them out of the pool to see the temperature. The Ambient Weather WS-20 displays temperature info on a separate display you can place anywhere in your home. It has an ingenious waterproof design, is easy to read, and remains accurate after years of use. Add to that the value you get with the indoor display and separate thermometer, and it’s easy to see why it’s the best. 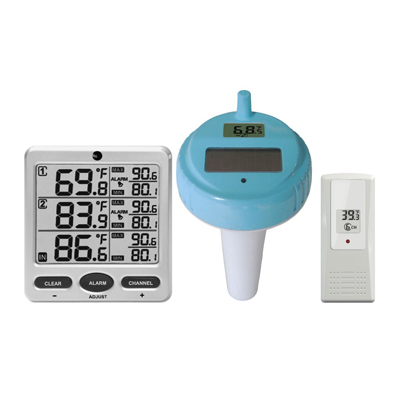 He WS-20 package consists of three parts – a floating water thermometer that transmits data wirelessly, a standard air thermometer suitable for indoor & outdoor use, and the monitoring panel. The transmitter is a device which floats on the surface of your pool and takes accurate water temperature readings. It has a pastel blue color so it doesn’t stick out from its environment. There’s an LCD screen you can view the temperature from when you’re near or inside the pool. The transmitter runs on solar power but has two AA batteries as backup that are easy to get to once you unscrew its lid. The monitoring display is why you want to buy the WC-20 though. It communicates wirelessly with both sensors and displays the data in a series of divided cells. Each cell contains temperature readings from a single source in huge black numbers on the left as well as recently recorded minimums and maximums on the right. There’s room for three sets of readings per screen, but a maximum of eight sensors is supported. The display is compatible with any other Ambient Weather sensor as well as third-party ones. 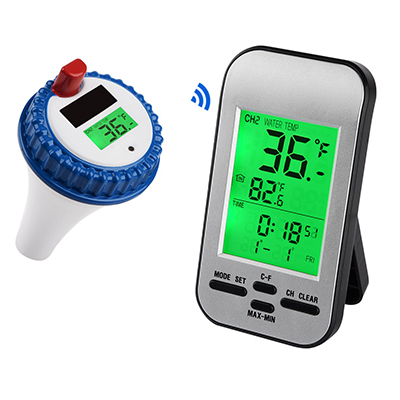 This lets you connect it to other thermometers, hygrometers, and more. The wireless protocol used to communicate between devices has a maximum range of 300 feet. In practice, the range at which it works reliably is closer to 100 feet since there are bound to be walls and other obstacles between them. 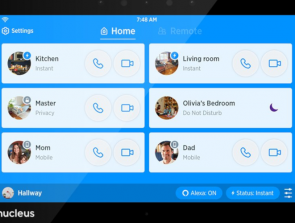 Connection issues are rare though and the devices communicate reliably with each other. The refresh rate between updates is 60 seconds so you can be sure you’re always getting current data. The WC-20 works well, but you need to go through the ordeal of setting it up first. All three components need to be in close range when you’re establishing a connection for the first time. Even when put next to each other, the monitoring display may still fail to recognize the sensors. The will work after a few tries, but getting there can be annoying. Having a dedicated pool thermometer is great for your family’s pool safety, but why stop there? Etekcity’s 1022 is a handheld IR-thermometer which can precisely measure pool water temperature, but it does so much more! You can use it to check the temperature in your freezer or determine whether oil in a pan is hot enough to start making some eggs. Its limitless applications along with a reasonable price cement this thermometer as the best on our list when it comes to value. 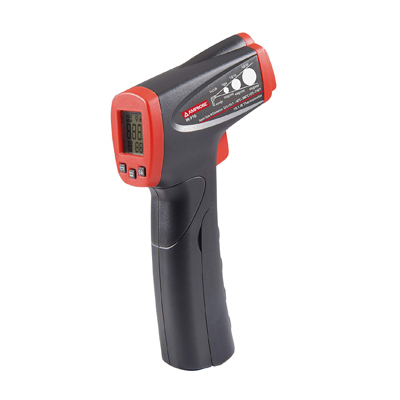 The 1022 digital thermometer looks like a glue gun or small handheld drill. If you’ve ever used one of these, you’ll know how to operate it immediately. The thermometer comes with a 9V battery which lasts a long while and is easily replaceable once it dies. The grip is slender and feels good to hold. The entire device is well balanced so you can go around and measure the temperatures of all kinds of objects without getting tired. The thermometer works by emitting an infrared beam. You can also turn on a set of guiding lasers to pinpoint the spot you wish to measure. The best thing about it is that measurements are accurate no matter which inanimate object you scan due to adjustable emissivity. Different surfaces have different emissivity values which are provided in the manual so you’ll always know which to use. The scope of its measurements is also impressive – temperatures range from -58 to 1022 degrees Fahrenheit with a margin for error of just 2 degrees. Using the 1022 is easy. Just point at the pool water and pull the trigger. You’ll get an accurate result in half a second. The result is then held on the screen for 15 seconds more, allowing you to write it down. This won’t be hard since the LCD has large, clearly visible numbers and a blue backlight for use in dim conditions. There’s also an onscreen power indicator which kicks in when the battery is low so you can get a new one in time. This thermometer will only read your pool water’s surface temperature. During sunny days, the surface temperature is higher than the overall temperature. That’s why measuring it won’t give you results representative of the overall temperature. You also need to point the thermometer at a shady spot on the water because glare from sunlight might distort the readings. Knowing that the temperature of your pool water is warm enough to dip your toes in is essential. However, this tells you nothing about the water’s quality. You can remove the scum and leaves that accumulate on its surface all you want, but if the water’s chemical composition isn’t balanced, you’ll still end up with damaged filters and costly repairs. Enter the pHin, a water quality sensor which measures not just the temperature, but pH, bromide, and chlorine levels too. 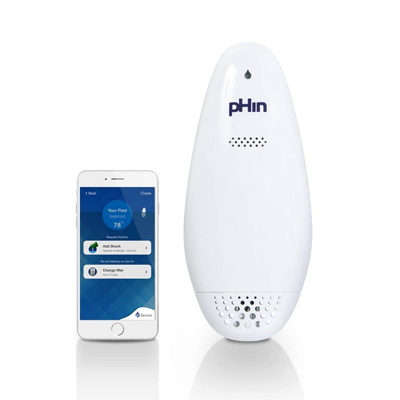 On a basic level, the pHin is a drop-shaped sensor which connects to your phone over Wi-Fi and sends notifications on the temperature and chemical composition of your pool water. You can also choose to buy a complimentary chemical kit which contains compounds that regulate all the measured chemical properties. These are color coded and stored in pre-measured packets so you only need to follow instructions when adding them. Getting the pHin to work involves installing its mobile appand then pairing it with a bridge. The bridge needs to be plugged in and connects to your phone via Wi-Fi or Ethernet cable. Once you’ve installed the app and the pHin has been recognized, you need to calibrate it. This is done by dipping a test strip into the water and taking its picture on a special card after the strip changes color. This needs to be done every month to maintain accuracy. The app is designed well and easy to navigate. Its home screen welcomes you with a circle that either tells you the pool is balanced or something needs to be adjusted. Incase of the latter, a tap brings you to another screen with more info on the chemical imbalance. Users who buy the accompanying chemical package also receive instructions on which and how many packets to add to the water. pHin has partnered up with many local pool supply and care providers. If you need one, the app can supply their contact information as well. The pHin has proven to be consistently accurate both in temperature and chemical measurements. These are also saved and viewable from the app in line graph form. You can view data from the past 7 or 30 days. The graphs are color-coded – ideal readings show up in blue while borderline and alarming ones are orange and red respectively. Buying into the pHin ecosystem is costly on multiple levels. At 200+ dollars, the basic package is the most expensive item on the list. Be prepared to dish out $300 more if you also want the chemicals. On top of that, full app functionality costs $99 per year after the first 12 months. 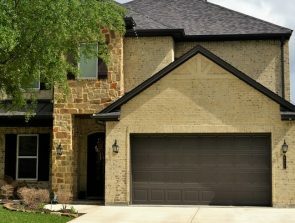 You may opt out of this, but you’ll only get basic sensor info without dosage recommendations or pool maintenance tips. Worst of all, the pHin is designed to become obsolete after two years, forcing you to buy another one. Even if you don’t and yours keeps going longer, it will fail eventually. The IR-710 by Amprobe is another infrared temperature measuring tool suitable for pool water. It works on the same principles as the Etekcity 1022, with notable differences in temperature range, emissivity choices, and the data displayed on its LCD screen. It’s a reliable albeit more expensive alternative to our value pick you should consider if you want instantaneous temperature updates. 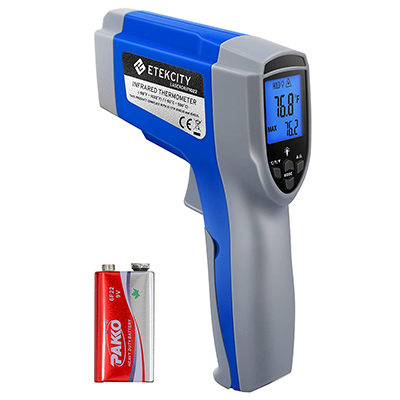 This infrared thermometer is designed similarly to the Etekcity 1022 – it feels good in the hand, is powered by an included 9V battery, and is straightforward to use. Physical differences are limited to a different color scheme and button layout as well as the IR-710 only having one guide laser. Performance is another matter. The IR-710 measures temperatures from 0 to 716 degrees Fahrenheit, which is a smaller range but still well within limits for use as a wireless pool thermometer. Unlike the Etekcity 1022, you can use it to measure the temperature of people and pets with accuracy, just make sure to not point the guiding laser at them! The thermometer’s emissivity is fixed at 0.95. This won’t have an effect on measurement accuracy of pool water. The screen is backlit and displays more information than the other model’s. The thermometer has enough memory to not only show and hold the last measured value but to also retain the historical highand low you recorded. All three values are accessible on the screen and easy to see. When you pull the trigger, a new value is displayed after two seconds. Measurements are taken in half-second intervals after that so you’re able to observe dramatic changes in real time. While the thermometer itself is good, the battery you get with it isn’t. When powered by it, the IR-710 shows temperatures that are higher than they’re supposed to be. Replacing it with a store-bought 9-volt battery will fix this issue. The same concerns we voiced when reviewing the Etekcity 1022 apply for this model as well. It’s hard to get an exact water temperature reading if your kids are making waves and splashing about in the pool. This won’t be a problem anymore if you buy the Professional Wireless Pool Thermometer from Yowosmart. Its clever design makes the thermometer buoyant yet heavy enough that the sensor stays submerged no matter the turbulence. You also get a backlit LCD display for indoor monitoring that anyone can use. Yowosmart’s thermometer has a similar design to that of the WS-20. This model is smaller though and its top part is a deeper shade of blue. A solar display takes care of its power needs with two AAA batteries serving as backup. These can only be accessed by removing a gasket and twisting the top part off. The gasket makes sure that the transmitter is waterproof and that no harm comes to either the batteries or the sensor. There are two ways of accessing the thermometer’s data. You can look at it directly or see the readings on the interior monitoring display. The display is backlit with vibrant green light and easy to read by day or night. It will remember the highest recorded temperature and shows the thermometer’s readings in either Celsius or Fahrenheit. The information on the display is basic and logically organized. The screen’s top part contains the current water temperature in big bold numbers along with a small note telling you which channel is active. The monitor acts as an indoor air thermometer and its readings are displayed underneath the water temperature. Lastly, there’s the current time and date. Three channels are supported so you can buy more separate transmitters and place them in your Jacuzzi or bathtub. They use a wireless protocol to communicate with the monitor and can be set 300 feet away from it. 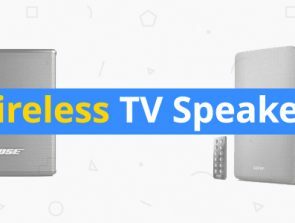 Expect them to stay connected better at shorter distances though. The connection between the transmitter and the base unit isn’t stable. No matter how close your pool is, expect contact between the two to break occasionally. A small portion of these thermometers suffers from a defect which freezes the readings and causes the transmitter to stop working. The manufacturer will send you a replacement if you’re unlucky enough to get one, but this takes time. 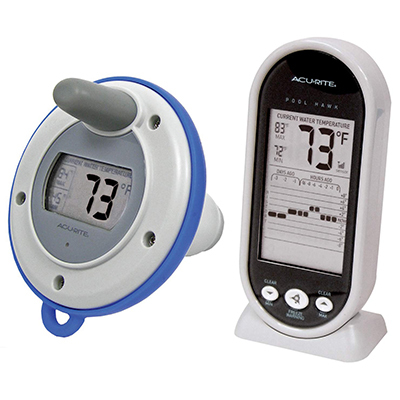 Last on the list is a wireless pool thermometer from AcuRite. It has some unique features like freeze alerts and a graph which we haven’t seen on more expensive alternatives. The device works well, provides up-to-date information, and doesn’t suffer from connection issues. Not bad considering it costs just over $20! This wireless pool thermometer loosely follows the design we’ve seen with Ambient Weather’s and Yowosmart’s models. The transmitter is robust and can take readings in any season. Its small screen is also informative as it lets you check the minimum and maximum recorded temperatures without needing to consult the indoor display. The transmitter is entirely battery powered and hermetically sealed so that they don’t get wet. There’s even an indicator that tells you when they’re running low. The monitor supports only one transmitter, but it displays a wealth of information. Its biggest portion is reserved for the current temperature expressed in degrees Fahrenheit in large numbers. There are smaller maximum and minimum readings to the left which you can reset by pressing the corresponding buttons. Underneath all of that is its most intriguing portion – the calendar graph. Here you can see average readings for three days as well as ones taken within the last 24 hours in ever smaller time increments. AcuRite’s thermometer delivers consistent results that are accurate when compared to more expensive models. It’s worth noting that its connection is very stable. Connection issues won’t happen as long as you keep its two components less than 100 feet apart. Other than telling the temperature, AcuRite’s thermometer also has a freeze alarm. The alarm will be triggered so you can take action whenever the water temperature drops below 40 degrees Fahrenheit. The thermometer’s biggest drawback is the lack of a backlight. Neither the transmitter nor the monitor are backlit which makes them unusable in poor lighting. The transmitter might start to leak after being submerged continuously for more than a year. While this is no small matter, the thermometer’s attractive price makes it worthwhile to replace it every time this happens.